When I joined Wix in 2007, there were only five designers working for the Design Studio. Since we were growing rapidly, all of us pitched in and did pretty much everything, from marketing campaigns to product design. We had the ‘full stack’ approach that was very common at the time, but also the general start-up vibe, with everyone on the team doing everything possible to help the company grow. Eleven years later, I oversee more than 150 designers. Not only has the world around us changed drastically, but also the role of designers. As a manager, my challenge is to cultivate a work environment that encourages growth for each designer, both professionally and personally. It is my deepest belief that a good designer – one who understands design in its deepest and most thorough sense – can create in any field and excel. Moreover, I believe that cross-discipline collaborations are a crucial key to one’s self-development. That’s one of the reasons our design team consists of designers from diverse backgrounds. We have fashion designers and stylists, interior designers and illustrators, product designers and motion designers. 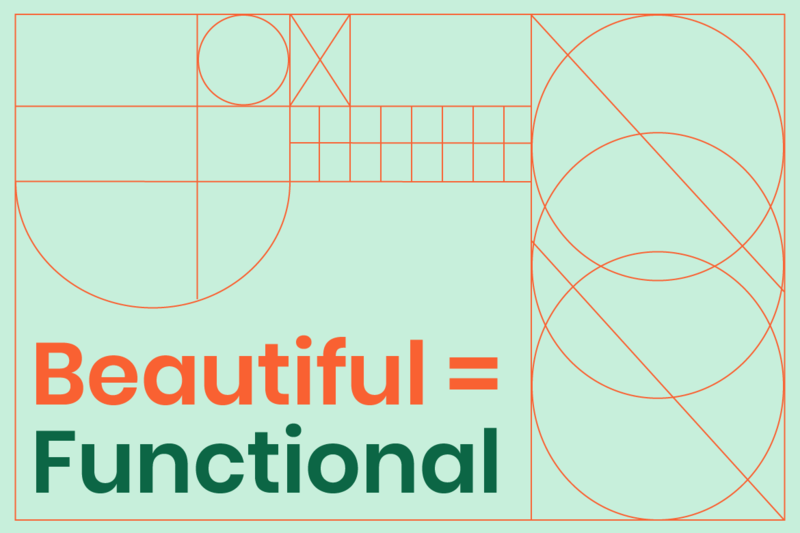 All of these design fields have found a natural rhythm of growth in the tech world, and these designers have experienced the shift of consumers towards better, more beautifully designed products over the past years. As products become an extension of ourselves, like our phones and digital wearables, the need for better looking apps and websites is rising as well. The old saying is ‘form follows function’ – but today, I believe form and function are one of the same. Functional, beautiful, usable or well-designed, it’s all part of what we now call ‘user experience’. We can see it as a combination of two elements. The first is the flow: the intent the user has when trying to use a product, and the outcome of this usage that results in either success or failure. The second is driven by design and content, which refers to the look, feel and tone of the product. To create a successful user experience in any type of product, you have to nail every piece – and for that reason, design has become an even more crucial part of the process. Ten years ago, you could most likely release a product with minimum design work, without any regard to how the design will influence the user experience. However, today, a company that wants to succeed must include a designer in the early stages of planning. That fact alone has impacted the field of design immensely. More and more companies are beginning to understand that design is no longer simply an aesthetic addition, but rather an integral part of the decision-making process. Actually, the design of a product never ends – it has to be constantly optimized, creating further expansion and growth into the designer’s role. This is only the beginning of course. Designers these days are expected to become professionals in one specific field, such as product or UX. But they must also keep learning and developing by knowing a little bit about other related fields, like code, motion graphics and even creative writing. While this might be their own responsibility, I believe organizations need to offer these opportunities as well. 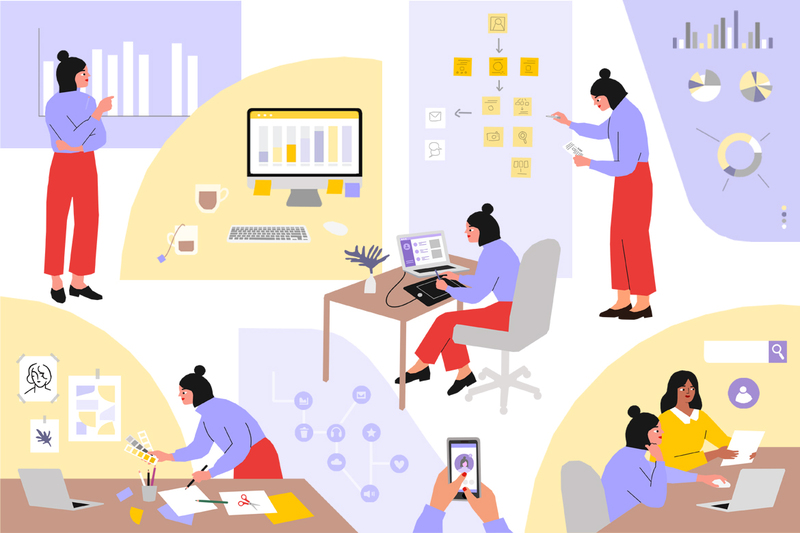 Companies need to support this new type of designer – one that can excel in simplifying big ideas with design, but even more importantly, one that can use data-driven decisions to inform design. When I started out as a designer, a hunch or a gut-feeling was a legitimate reason to create things in a certain way. ‘I just know it’s just right’ or ‘this is where design is going’ are no longer good enough justifications for design, and though it’s absolutely important to maintain this intuition, it shouldn’t affect more than twenty percent of your decision-making process. Makeup Store website template, designed by the Wix Design studio. Hera Beauty skin care products Wix website, based on the Makeup Store template. Ohhh De Cologne concept store Wix website, based on the Makeup Store template. Creating design suggestions for our users with a data-driven approach can be divided into two stages. First, we research and collect data that will help us plan the design and content of a template. After more than a decade of sites being built on our platform, we have a clear understanding of what works best for each business vertical. What are the site sections a lawyer needs versus a dog walker, for example; or what layout is better for a restaurant versus a spa. The same goes for the content we suggest our users to fill in – a doctor won’t have the same introduction paragraph as a personal trainer. We combine that knowledge with a constant study and research of trends as sources for inspiration, culminating changes in politics, technology and environment into a thought-process we call ‘trend thinking’. The second stage, in which data really comes into play, is the post design, that takes place after the template design process has (allegedly) ended. This is where we measure engagement and performance for each template and optimize our process accordingly. We seek data on the number of clicks a certain template received, how many users chose to edit our suggestion and in which way, how many users got stuck on a template and quit, or how many sites were published from each template. The fact that the design work never ends is possibly the best testament of how much design as a profession has changed, and with it the opportunities available for designers today. Designers now have a crucial and important seat at the table, and through design methods and a problem-solving approach, we can influence and elevate user experience and stretch the lines of our profession to new horizons. Fashion Designer Boutique website template, designed by the Wix Design studio. Triptyc London fashion brand Wix website, based on the Fashion Designer Boutique template. Sara Schaer fashion brand Wix website, based on the Fashion Designer Boutique template.